I have the craziest soup stories of when I was a child. Nothing out of this world crazy, like all I ever wanted to eat as a kid was soup or anything like that. This is a whole other level of crazy. This kind of weirdness I blame on my mother, and now of course I’m sure my mom is somewhere reading this thinking, “Oh naturally, the mothers are always the first to get blamed.” But the truth of the matter is that this is in fact her fault. Where should I begin? I guess I should start from the beginning and when I get to the end, I’ll stop. You should know that I only like eating soup on the hottest days of the year. No that’s not a typo, you read that right. The hottest days of the year. That’s when I want a steaming bowl of soup the most. Not on cold rainy days, like normal people; no I crave soup when the sun is blazing and when we’re all wearing nothing but shorts and tanks. When it’s so hot outside and you’ll do anything to cool off, that’s when I want soup. In the worst possible way. When you’re drenched in sweat because it’s so freaking hot and when the last thing you’ll want to do is eat soup, that’s when I’ll want nothing but soup. So where does my mother come into this picture? How is it her fault you ask? Well she would only make soup for us on the hottest days of the year. We’re talking about full-on big pot of soup boiling away on the stove while the sun is baking the world outside. I’d be playing in the backyard while my mother cooked, and I remember staring up and seeing the windows full of condensation and steaming from the heat radiating not only outside but inside as well. I knew she was making soup. We all knew. Her reasoning behind it—and to this day I have the same reasoning now because of her—is that the heat from the soup will cool you off. Heat cancels off heat. I’m not sure if and how that works but somehow it made sense. I didn’t question it, and if there was anything I learned as a kid, it was that mothers are always right. Write that down. So there I was, little ol’ young me drinking my hot soup on a hot day not knowing that something was off. Thinking that every kid ate soup on scorching sunny days. Totally normal. Of course I ate the soup without hesitation because if I’m being honest, it’s the best soup I’ve ever eaten. My mom makes really great soup and I’m not just saying this because I’m throwing her under the bus here. Now that I’m older I’ve come to the realization that hot summer soups, isn’t a thing. No matter how much my mom wishes it were. So for those of you who love soup during the cold seasons—what an odd thing to crave on cold days really—I decided to make a soup post. 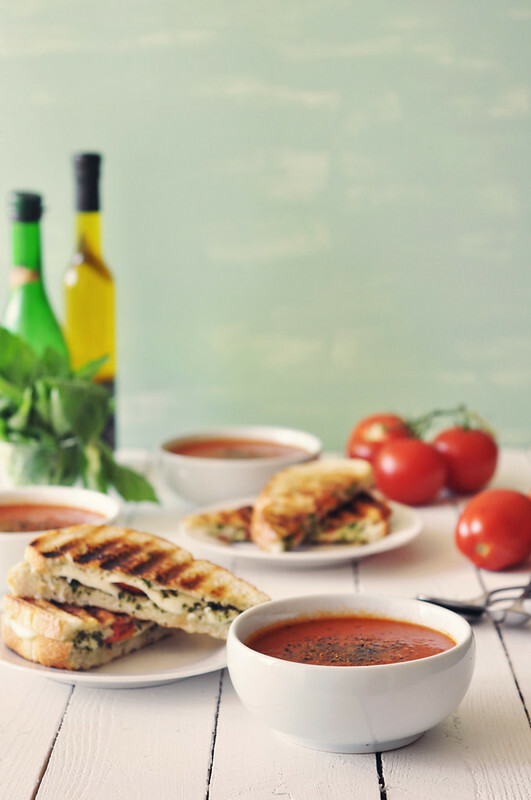 Much like everything in life, soup is a lot better with a side of bread. Bread wasn’t enough for me though so I decided to make this soup with a side of a sandwich. An accompaniment of a sandwich wasn’t sufficient enough for me however, so I decided to serve the soup alongside a panini. A boring panini wasn’t going to cut it, so I stuffed this one with lots of fresh mozzarella and tomatoes and a homemade basil spread that is super addicting. Although soup is only tasty when it is served in the summer (thanks mom) I’m willing to overlook that little tidbit because this soup and sandwich combo is up there on the deliciousness scale. Get at it folks. 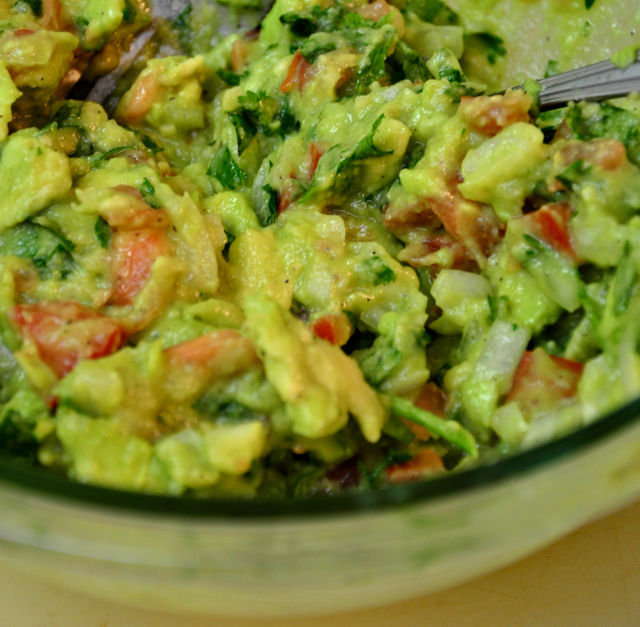 One of the fastest recipes you should have on hand, at your disposal, is guacamole. When the avocados are in season and reasonably priced, I just don’t understand how people can spend money on the store bought stuff. Now don’t get me wrong, there are some rare instances when the store bought product is better or even more practical than making it yourself. For instance, phyllo dough or puff pastry. But for something as simple as guacamole, you must make it yourself! 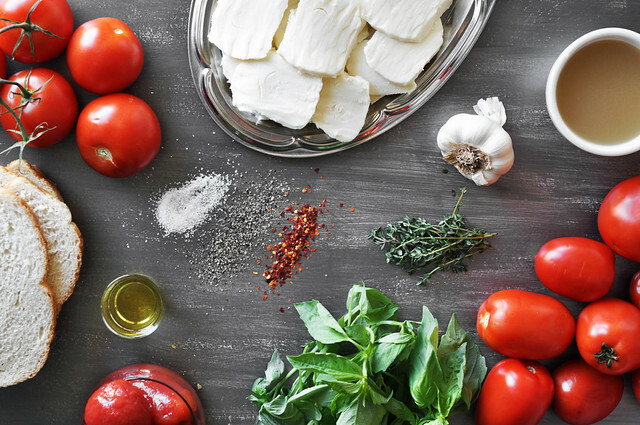 You can control the quality of the ingredients, the salt intake and the freshness of it all. With just five simple ingredients, you can make it better yourself, with no artificial preservatives or flavorings. Once you learn how simple it is, you wont be able to stop making it, especially after you realize how much you are over paying for that store bought artificially colored guacamole.